Gonzaga students Jaron Fuglie and Regina Carrere and GU alumnae Talena Laine and Elizabeth Spindler. 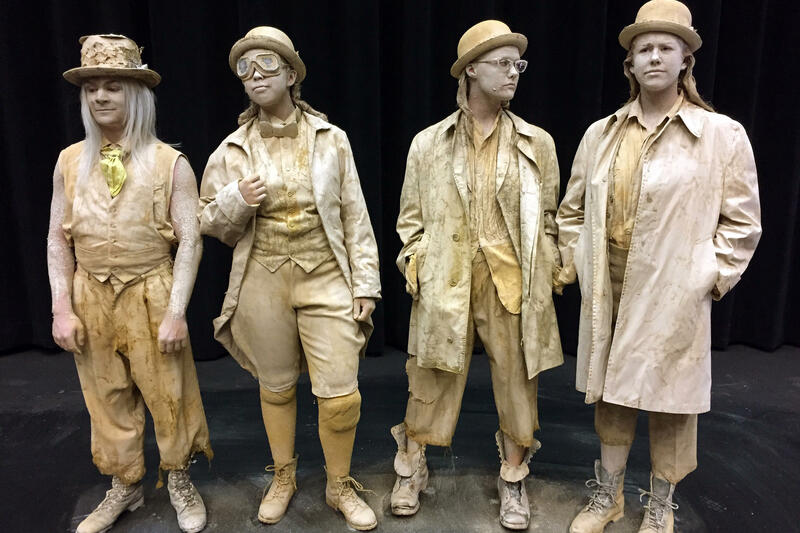 Ceramic artist J.J. McCracken, Director Charlie Pepiton, Costume Designer, Courtney Smith and actors Elizabeth Spindler and Talena Laine spoke with Verne this morning about the New ZagLab/Terrain production of Samuel Beckett's Waiting for Godot. The show runs from June 8-11. For more information and tickets, click here.